On World No Tobacco Day India’s No. 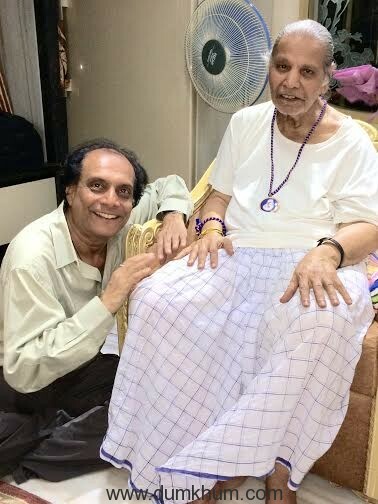 1 Radio Network and Broadcaster of the year at Golden Mikes, 92.7 BIG FM Mumbai Station, launched a noble campaign ‘Cigarette Bhujao Life Banao’, in its endeavor to contribute to the welfare and development of society. 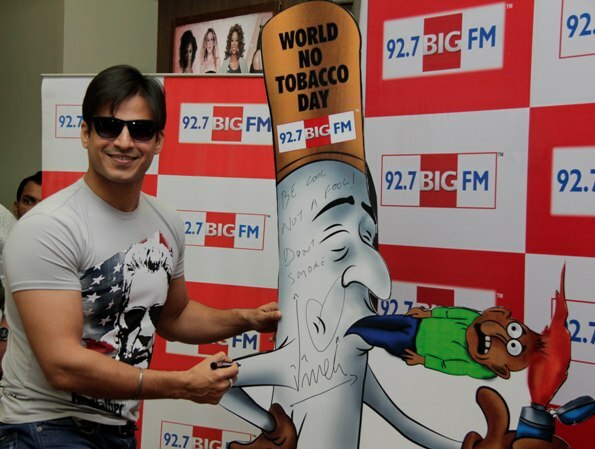 Vivek Oberoi, a strong anti tobacco campaigner, joined hands with 92.7 BIG FM to sign a pledge against smoking at the BIG FM studio with RJ Ankit. To promote this cause and enable widespread awareness amongst the audience, across the city of Mumbai, the actor signed ‘Ouit Smoking’ on huge cigarette caricature cut-out which will be placed in the Infiniti Mall, Andheri premises, so that people can support the campaign and spread awareness on the ills of tobacco. The campaign takes on the pressing issue of smoking and the various harms related to smoking, which have ended many lives. This campaign by 92.7 BIG FM is an extension of the larger campaign called ‘Mumbai Manao, Life Banao’ which celebrates the spirit of Mumbai. 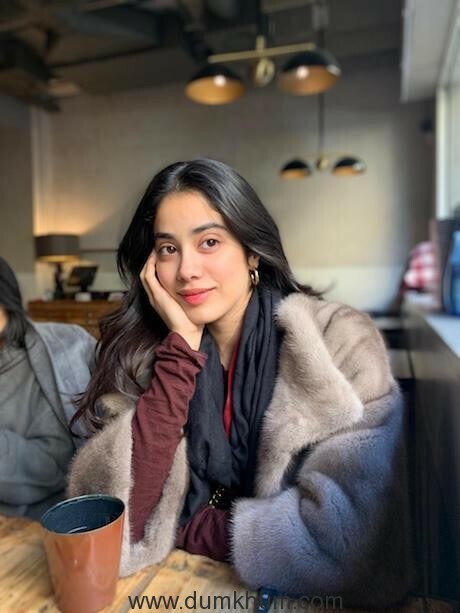 As part of the campaign for World No Tobacco Day, 92.7 BIG FM’s RJ Ankit spoke to various celebrities like Vivek Oberoi, Javed Jaffrey, Ayushmann Khurrana on dangers of smoking and its effects. Besides this listeners shared their experiences and doctors gave tips. Actor Vivek Oberoi has been associated with the Cancer Patient Aid Association (CPAA) for over ten years. This opportunity with 92.7 BIG FM gives him another platform to spread awareness across a wider audience. Vivek while speaking to RJ Ankit said he strongly felt about the need to spread the message of the dangers of smoking and how tobacco related diseases like cancer, tuberculosis can wreck the lives of individuals and their families alike. Vivek Oberoi also shared insights and anecdotes from his upcoming movie ‘Kismet Love Paisa Dilli’.